How do your photo booths work? 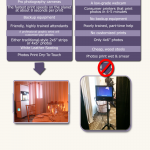 We designed every aspect of the photo booth experience to be fun and easy. The process is completely automatic and each session is started by your guests. Upon entering the booth, they are greeted by a beautiful HD touchscreen that will prompt them to select a photo style (Black and White, Old Time, or Color). 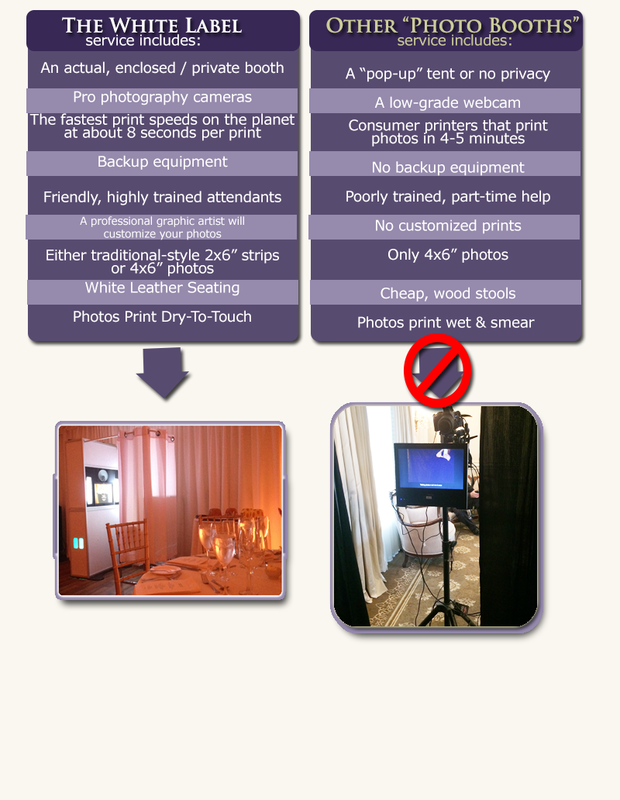 The booth will then take a number of high resolution digital photos, professionally enhance them, and print them out in seconds. Can you match a NJ Groupon Photo Booth that we found online? The booths offered by companies found on Groupon provide a completely different product than what NJ Photo Booth Rentals offers. 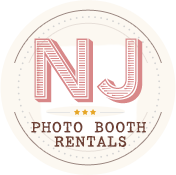 What makes the White Label Photo Booth different from other Photo Booth companies in NJ? Our booth is an enclosed, self-standing booth that stands 6 feet tall and measures 3ft x 5ft. We promise, it will fit in to virtually any floorplan. Is there a delivery or setup charge? We offer free delivery within 30 miles of our Pine Brook, NJ Office. Our booth is designed to fit seat two adults, however we’ve had as many as 12 people fit their faces into the same photo. Because our booth features a hard style front with a built-in curtain back, it allows us offer the same private, enclosed experience that you would have with old-school, “arcade-style” boardwalk photo booths – but with more smiles. Is a deposit required to reserve my date? We typically charge a $150 deposit to reserve the booth for your big day.